Marc talks about what happened today in history, including the day Emiliano Zapata was tricked into riding into an ambush, the day Rudolf Vrba and Alfred Wetzler escaped from the Birkenau death camp, and the day that singer Little Eva died. This is Marc Steiner, and today is April the 10th. That was Little Eva’s rendition of “Stand By Me.” We play that today because today in 2003, the artist who made “The Loco-Motion” a sensation, passed away at the age of 59 after a battle with cervical cancer and we remember with that wonderful rendition of that song that speaks to us all.. The Virginia Company of London was given its royal charter today in 1606 by James I of England. Along with the Plymouth Company, they divided the land of what is now America’s East Coast for settlement, ownership, and exploitation of its resources. It was the beginning of the colonization of North America by the British. As we debate copyright and who owns what words, phrases and songs in our world, we need to remember that is was on this day in 1710 in Great Britain that the first copyright laws called “The Statute of Anne” were enacted. That statute protected a writer’s work for 14 years. Speaking of a writer’s words, one of America’s most lasting novels was published today in 1925 in New York City: F. Scott Fitzgerald’s The Great Gatsby. A day after his surrender to Union forces during the American Civil War, Confederate General Robert E. Lee addressed his troops for the last time today in 1865. Emiliano Zapata is a name that rings a bell with the revolutionary fervor and respect in Mexico that we give to the memories of people in the United States like Malcolm X, Martin Luther King and Abraham Lincoln. 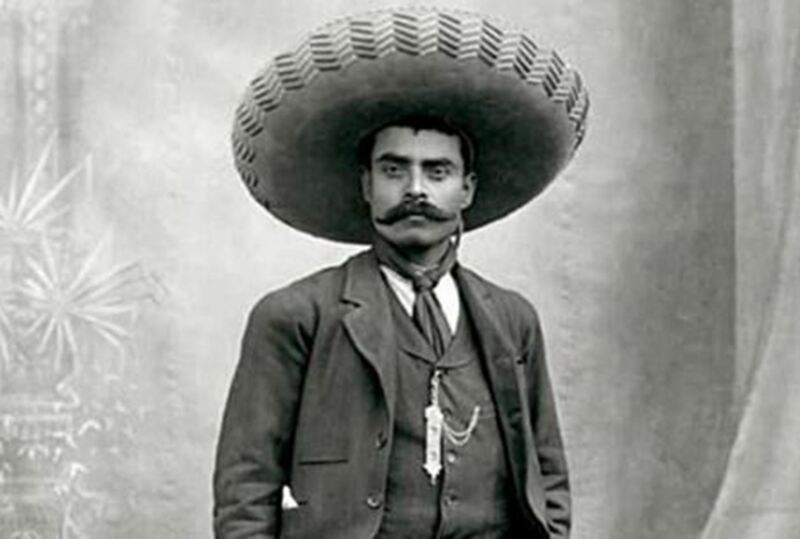 Emiliano Zapata was an Indian peasant who led a revolutionary army to overthrow Mexican dictator Porfirio Diaz. When the new ruler Francisco Modelo proved he cared little for land reform and freedom, Emiliano Zapata fought again, joining the legendary Pancho Villa, creating freedom, democracy and land reform wherever he was victorious. Today in 1919, Emiliano Zapata was tricked into a negotiation — which was, in reality, an ambush — when government troops riddled his body with bullets as he rode in for peace talks. Mexican activists still use his slogan,” Reforma, Libertad, Ley y Justicia” (Reform, Freedom, Law and Justice). While the world knew that Jews were being deported into work camps by the Nazis, it was not until 1944 when Rudolf Vrba and Alfred Wetzler actually escaped from the Birkenau death camp that the world understood the reality of the Nazi’s plan. They said that Jews and others were not being sent to work, but to torture and gas chambers as soon as they arrived at the camps. Film technology took a leap forward in 1953 when Warner Bros. premiered the first 3-D film from a major American studio, entitled House of Wax. It frightened teenagers across the nation. And in 1931, one of the most quoted and read poets of all time, Kahlil Gibran, passed away. And on April 11th — tomorrow — we would be remiss if we did not mention that it was the day the storied Spelman College was founded in 1881 as the Atlanta Baptist Female Seminary. With support from the Black community in Atlanta and two women from Boston, Harriet E. Giles and Sophia B. Packard. Giles, along with Reverend Frank Giles of the Friendship Baptist Church started the school as a place of higher learning for freed Black women. Most of its original 11 students were illiterate, but not when they left this institution. It has become one of most respected colleges in the nation. It was renamed Spelman College in 1886 after Lucy Spelman, a long time abolitionist and the sister of the wife of John D. Rockefeller, started the funding endowment for one of the crown jewels of the HBCU world. Here’s a song to think about on this April the 10th. While performing at the Municipal Auditorium in Birmingham, Alabama in 1956, Nat King Cole was assaulted by five segregationists and tackled on stage. The police arrested the perpetrators, who had planned to kidnap Nat King Cole. Despite the incident, Nat King Cole played a second show that night in Birmingham. We hear his song “Night Lights,” which came out that same year in 1956.